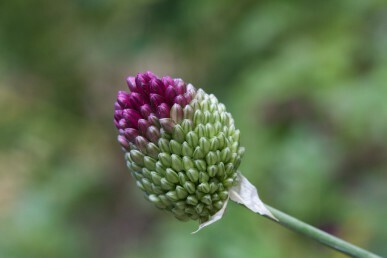 Drumstick allium, Allium sphaerocephalum, a lovely ornamental allium. 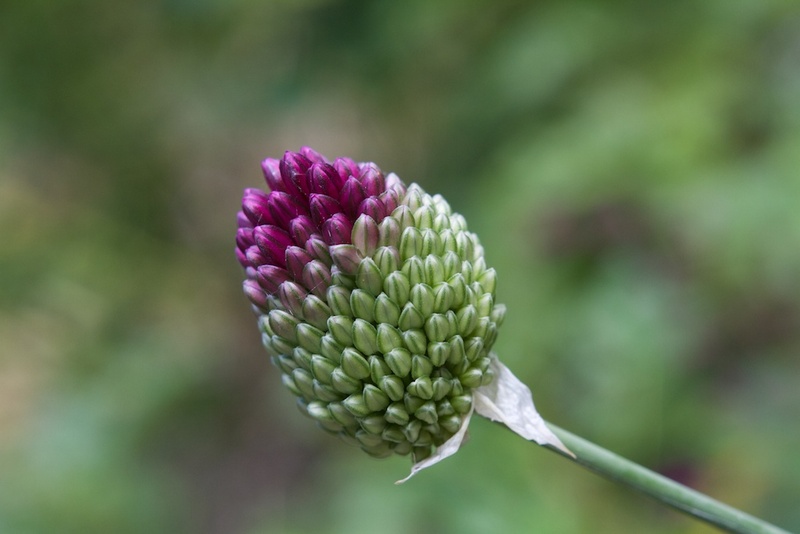 Over the last couple of years I have been more than a little preoccupied with one species in the Allium family, namely garlic (Allium sativum). So much so that I have created a website all about this fascinating and beautiful vegetable. You can see it here. 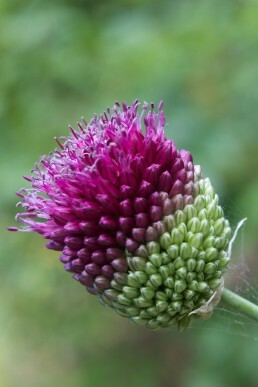 There are however beautiful ornamental Alliums that also deserve a place in our gardens. 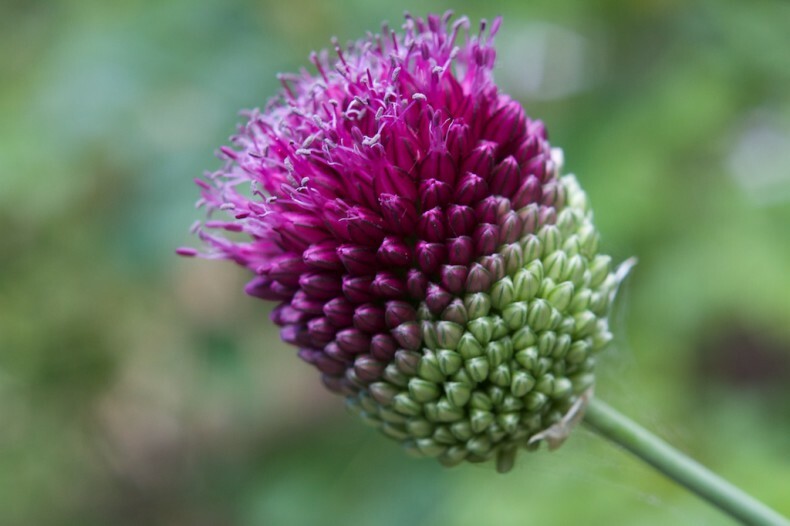 The one that is looking elegant in my garden at present is A. sphaerocephalon or drumstick allium. My garden is pretty low on elegance and high on profusion and confusion so it is a very welcome member. Most ornamental alliums grow best in regions with hot dry summers and cold winters so my seaside garden is not necessarily the best spot for them. 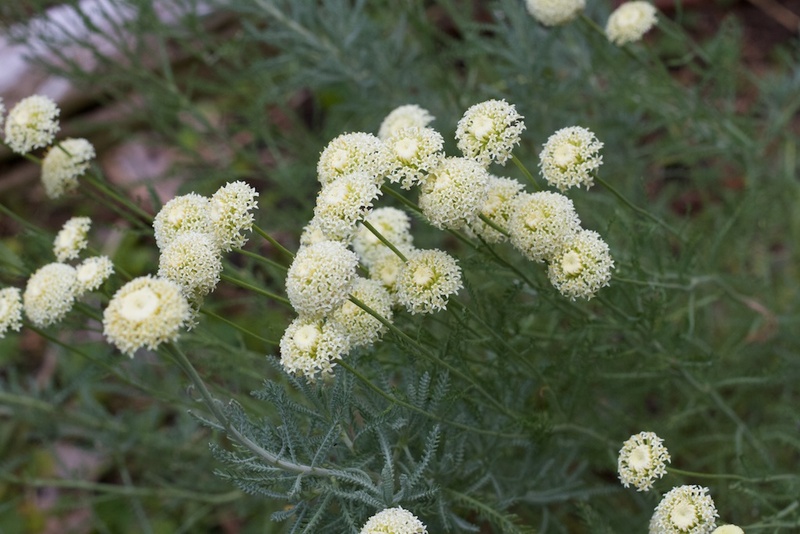 It doesn’t get quite cold enough in winter, and I tend to forget where I planted them and water them in late summer when they need to stay dry. 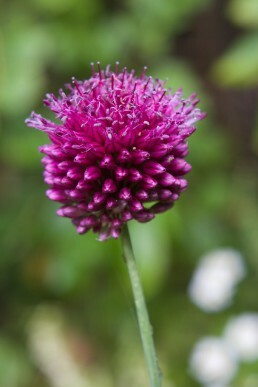 I am however determined to persevere and have been heartened by my success with the drumstick allium this year.